It has always been thought that the results in learning a language are obtained thanks to intelligence and rationality. How much time have you spent trying to memorize information through study? ABA English has managed to demonstrate that English should not be studied. For a long time, the dominant tendency in learning methods has been to prefer normative principles, ignoring the complexity of human beings and their characteristics. Today, we know that emotions play a decisive role in learning. Emotions help us to learn, making everything more simple and easier to assimilate. That is why ABA English has developed the first digital language course focused on emotions. 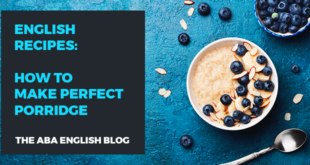 Let’s look at how it works and why millions of students consider it the best English course in the world. 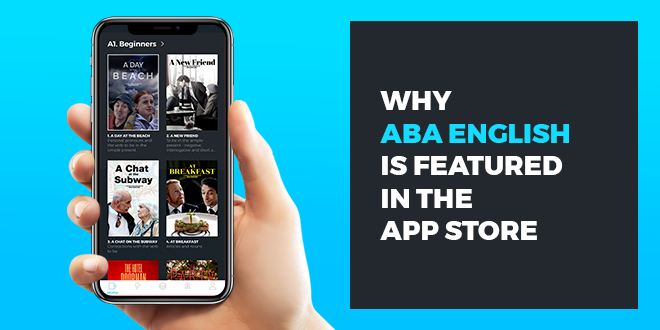 Why does @abaenglish have a place among the best apps in the App Store? Memories have an emotional dimension. Students can only learn what interests them. It is easier to remember what is pleasurable. So, emotions play an important role in the cognitive processes related to memory because the strength of memories depends on the degree of emotional activation added to learning. This means that experiences lived with high emotional participation are catalogued as “important” by our minds. That is why we remember them. On the other hand, experiences without emotion are soon forgotten. If you want to really learn English and assimilate it, it is important to incorporate it into a context capable of awakening emotions. The ABA English method begins from this concept and develops it according to a cyclical pattern where each lesson begins with a brief and exciting video containing a small story to remember. It is not just a dialogue that should be studied and memorized, but behind it lies the entire life of the characters from the short films. It is no coincidence that the word emotion comes from the Latin emotus, the past participle of emovere, which means move or shake. Emotions shake you up, move you, motivate you, and make you advance. Therefore, together with the formative content, emotions can become a resource because the student will not only think and reflect but will “feel” and participate as well. That is why we do not start from the grammar rule, but from stimulating, emotional, and relaxing context that is created through the ABA short films. These are interesting and quality films that deal with stories with which the students can identify. In these real-life stories, joy, wonder, and sometimes even anger are experienced. Just like in real life! This allows emotions to make us reflect and remember what we have experienced. 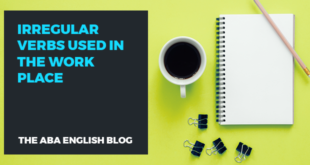 This is how you can make progress in learning English without realizing it: the subconscious gradually assimilates new words and expressions. Grammar, which is necessary to consolidate the acquired knowledge, is introduced in the second part of each lesson when the student has already begun to speak and recognize the fundamental aspects of the language without having studied them before. This is virtually the inverse of the process in the more traditional methods. Children learn their parent’s language without studying the grammar rules first. This is precisely the philosophy underlying the ABA English method, the so-called “natural approach”, according to which a second language can be acquired just as the mother tongue was acquired. Children learn grammar when they go to school and study it when they learn to write. This is the correct order of language acquisition: first we learn to speak, then we learn to write. Therefore, there is a natural order of language acquisition: first, you listen and you understand, then you learn to read and write. Thanks to the ABA Films, ABA English students do not go back to being children, but they take a linguistic immersion “didactic trip” as if they were studying English abroad. The ABA Films contain the emotions, the communicative functions, and the necessary grammatical structures that students will learn in subsequent teaching activities. In this way, all linguistic skills develop progressively according to the natural order of learning. The teaching activities in each lesson revolve around the ABA Film: the film dialogues are practiced, pronunciation is learned by acting out the dialogues from the script, and English is pronounced as well as the native speakers. The student feels as if they are living an authentic experience from everyday life. Several studies from prestigious international universities show that the ABA English method is really effective for learning English. For example, with only 20 hours of studies in the course, you can obtain the same results as with a 6-month course at an American university. This is the study carried out by researchers from the universities of Barcelona and Valencia, the only study in the world designed to evaluate the effectiveness of English learning methods. Learning English online very often means learning by yourself. And that is not easy! We are humans. We like to have contact with other people and we need support from a person, not from a machine. ABA English students appreciate the fact that they can count on the support of a teacher who plays a fundamental role in their learning process. On the one hand, they motivate and stimulate them. On the other hand, they help them at the most opportune moments. 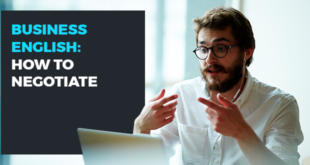 It is possible to contact your teacher through written messages (to improve your writing) or through private and personalized classes that last 25 minutes (to practice your speaking). Students know that they are not alone and open themselves up more and more to communication. Each ABA English student is assigned a native teacher with whom they can communicate and can share the emotion of their exciting journey. Emotion and excitement make digital learning more effective and more relatable. If you have come to this point, it is likely that you are interested in learning English for one of the many reasons that motivate our students. What is the first step? Try our course!